Asymptote is a powerful descriptive vector graphics language with a coordinate-based framework for technical drawing. Labels and equations are typeset with LaTeX. It is distributed with the GNU Lesser General Public License. Asymptote can produce graphics in any format supported by ImageMagick, but it excels at producing PostScript files suited for typesetting with LaTeX. Asymptote is distributed as source code at SourceForge. Binary files are available for Linux and Windows. OS X users can install Asymptote with brew or MacPorts. There is an Emacs mode, asy-mode, for editing Asymptote files. The file asy-mode.el is distributed with Asymptote. Instructions for enabling asy-mode are here. 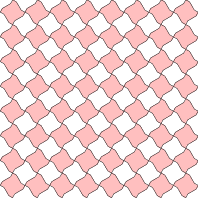 Asymptote is a language designed to produce graphics files. The default :results header argument is "file". The default :exports header argument is "results". The :file header argument is required. The extension of the file name passed to :file determines the graphics format produced by the Asymptote source code block. The default output file format is pdf. The language-specific header argument, :cmdline, can be used to pass options to Asymptote. The full set of options are described in info asy. Asymptote does not support sessions. 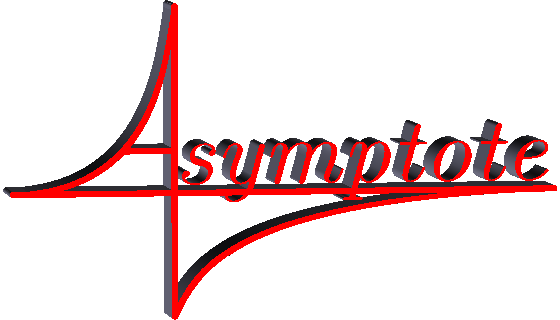 The following source code block produced the Asymptote logo used at the top of this page. The following source code block was adapted from code found in the gallery of Asymptote examples by Gaétan Marris. // ... et une double boucle pour "paver"